“Les vacances” (always plural in French) – vacation, is at the heart of the French culture. With 5 weeks paid vacation for French employees, and a total of 16 weeks of vacation for French school students, France sure values her holidays. In this lesson, we will study the French vacation vocabulary, learn expressions used for holidays, as well as cultural information and tips. bonnes vacances! = have a good holiday! bon voyage! = have a good trip! bonne route! = have a safe journey! chez des amis – at some friend’s house. The French are known to take a lot of vacations, especially if you compare them to the Americans! But is this “five weeks of paid vacation” myth really true? Yes it is. 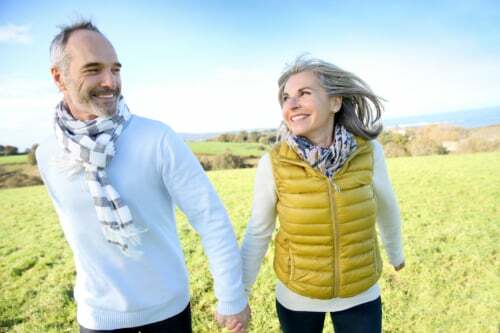 According to Le Journal du Net, French employees take even more vacation time than that, with an average of 37 days per year, or 5.2 weeks (in 2012). There is quite a difference between French workers: a public office manager takes an average 7.4 weeks of paid vacation, versus a farm worker/ artisan who takes 4.6 weeks. So who doesn’t take this much vacation in France? Self employed people… Shop owners, small businesses and startups – believe me, not everybody takes 5 weeks vacation in France! However, it’s true that in general, the French really enjoy a lot of vacation time: don’t go to France in August and expect to do a lot of shopping! A lot of stores close in August (listen to the tricky pronunciation of “Août” in my article) – and actually in January as well, especially in smaller countryside towns. France’s Summer break: “les grandes vacances”, July and August, so 8 weeks total. France’s Fall vacation: “les vacances de la Toussaint“, mid October, 2 weeks. France’s Christmas break: “les vacances de Noël“, mid December, 2 weeks. France’s Winter vacation: “les vacances d’hiver”, zone dependant*, February, 2 weeks. France’s Spring break: “les vacances de printemps”, zone dependant*, April, 2 weeks. 5 – What is the French Vacation “Zone” System? 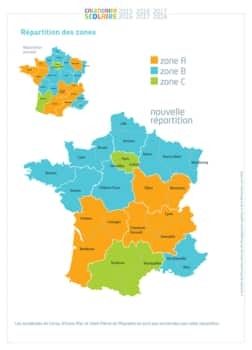 So now, every single French household with kids has to check out this map to know which zone they now belong to, and when the vacation for their kid is going to be. And forget about meeting your Parisians cousins for the vacation if you live in Brittany… you are not in the same zone, which means you won’t have the same vacation date. For more info and exact French vacation dates, go to the French School Vacation Government Site. Of course, as soon as you hit the vacation starting / ending dates, France is in a gridlock. We call them: “les journées noires” (black days) and you should not plan on driving during these days if you don’t want to be stuck in endless traffic-jams (“les embouteillages”, “les bouchons”). Train and plane tickets, room prices, all goes up as well. So it’s a good thing to know about the French school vacation dates before you plan your next trip to France! 7 – French Speaking Vacation Tip – Think Club Med! you need to make sure you get people to talk to – it’s not always easy to strike up a French conversation with perfect strangers… This is why I recommend you check out my immersion at French Teacher’s house programs. 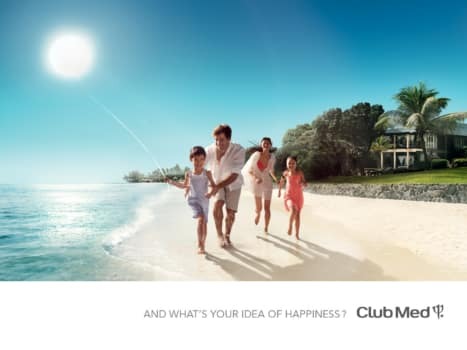 However, your family may not speak French, or share your enthusiasm to visit France over and over again… Or going to France maybe too far, too complicated… So why not try “Club Med”? How do You Say “How Was Your Vacation” in French? This is more tricky than it sounds. First, you have to memorize that the French word for vacation is always plural: les vacances, mes vacances, des vacances… The verb and adjectives will also have to be plural to match “les vacances”. Then, to ask “how was your vacation” (or rather how were your vacations in French…) we don’t use the same construction. In formal French, we say: “comment se sont passées tes/vos vacances”? I suggest you pick one and learn it by heart to use it yourself, but you need to know the three formulas because they are very, very common in French. Of course, one can get creative and say: “tes/vos vacances, c’était bien ?”. It’s much simpler, but less used in French! 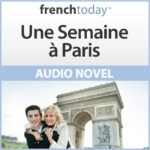 8 – How do You Answer “My Vacation was…” in French? Here again, you have to watch out to keep your answer in the plural. Your answer usually “matches” the formality of the question, but it’s not set in stones. Mes vacances se sont (très) bien/mal passées – My vacation was (very) good/bad. J’ai passé de (très) bonnes / mauvaises vacances – I had a (very) good / bad vacation. C’était super / nul – It was great / really bad. 9 – How to say Where You Went / Are Going on Vacation in French? You’ll start by using “aller” or “partir”. Then, what follows get complicated… I’ll sum it up here, but read my articles to know more about the French prepositions of place and how to say the date in French. Use à + city, en + feminine country, au + masculine country, aux + plural country. Je suis allée à Paris, en France, au Japon, aux Bahamas. Je vais aller en France en juillet. A fun and reachable French story, full of useful everyday vocabulary and situations, and its English translation. A story recorded at 2 speeds: a bit slower than normal and street French (normal for the French and featuring modern pronunciation and glidings). A Q&A section to practice your French out loud and check your understanding of the story.